Hi again friends! I’m trying to catch up on my “Ask Lauren” questions, so if you’ve submitted a question, your answer is coming soon! And don’t forget- if you have a specific wedding question that you would like answered, go here to submit your question! Hi Lauren! I’ve read a lot of your blogs about the benefit of having a wedding planner, and I definitely agree that having one will make my life (and wedding planning) much, much easier. I’m having trouble, though, deciding on a wedding planner. There are SO many to choose from! Can you offer some advice on how to choose a planner, and what questions to ask? I’m assuming it’s important to hire a planner who has done a wedding at my venue, right? And I’ve noticed pricing is all over the place, how do I know if I’m getting a good value? What kinds of services should they include? I’d appreciate any insight you may have! Thank you! Thank you so much for your question! You’re definitely on the right path just even knowing that you need a wedding planner. It certainly will make your life so much easier while planning! You are going to be spending a lot of time with your planner, sometimes talking to him/her multiple times per day even. You want your planner to be someone that you would be friends with. 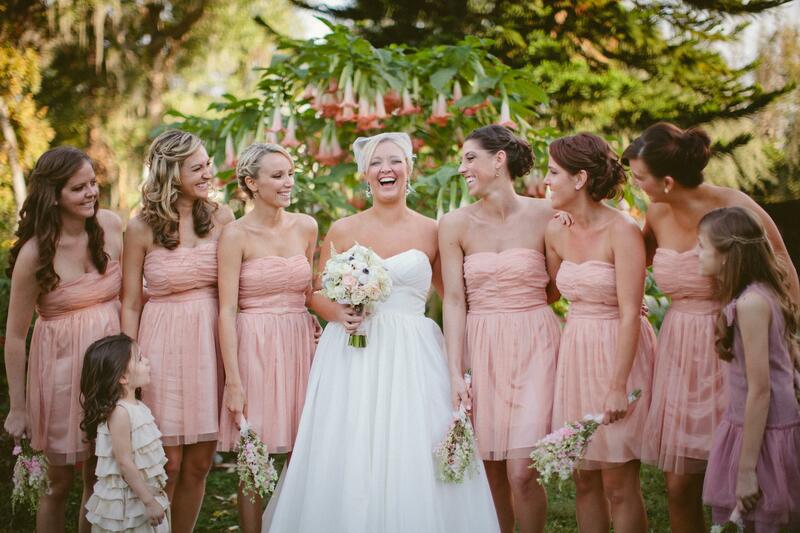 Often times, brides do actually become friends with their wedding planners after their wedding. I don’t blame them- you spend so much time together! But personality should be the absolute first thing that you consider when choosing your planner. Some brides have different needs than other brides do. And planners offer different services- comparing services and packages from different planners is like comparing an apple to an orange- it really just can’t be done. But the way to decide on a planner when it comes to services is to think about what YOUR needs are. Do you want someone to be your partner, help you design the details of your wedding, take your vision and make it come alive? Then you’re going to want to make sure your planner has design experience, and that they will include those services for you. Or perhaps you just want someone to take care of your correspondence, vendor appointments, and keep you organized and on track, but don’t necessarily need design services because you already have an awesome event designer you’re working with. Then go with a planner who has a focus on the logistics of the wedding day. Some planners do it all, but some do not. You’ll be able to tell based on what services they offer, but when you meet with them, tell them what you’re thinking you need, and they will tell you what they can do for you! Experience is of course a big factor when choosing *any* vendor. 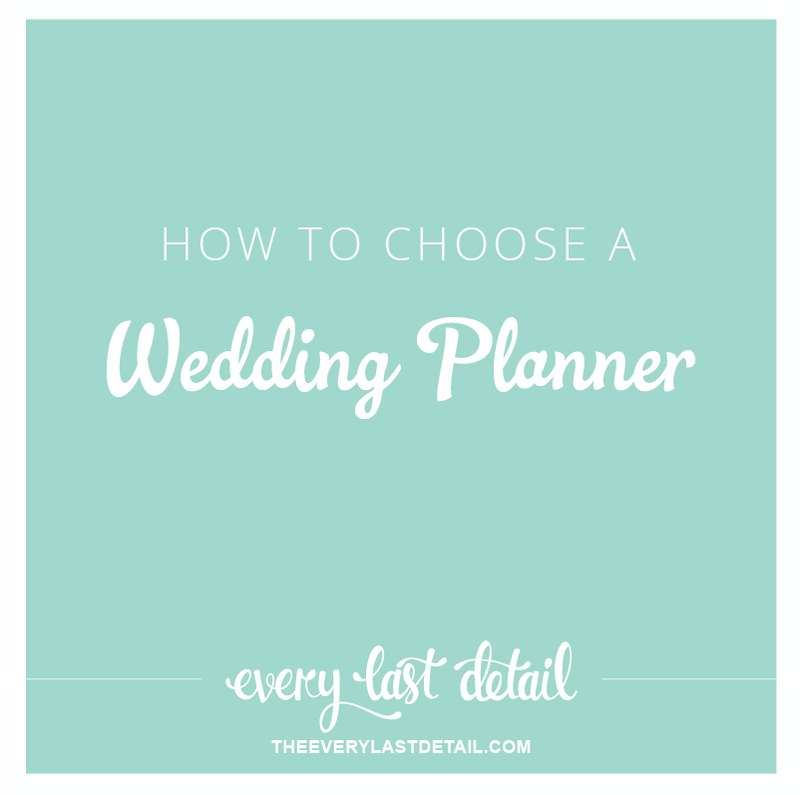 And yes, you definitely want to make sure that your planner hasn’t just done one or two weddings before yours. Experience is the key to a good wedding planner. But it’s not totally necessary to require that they’ve done a wedding at your venue before. You will have meetings and walkthroughs at your venue throughout the wedding planning process, and a good planner will make sure that she/he is in attendance at those meetings, and familiar with all of the venue’s policies and practices. As I mentioned above, it’s really hard to compare one planners price to another planner’s, since they all offer different things. I don’t recommend that you strictly compare the pricing of your potential planners for this reason. However, I can tell you that according to a survey I conducted last year, the average price of a wedding planner was a little less than $3000. Of course this is a nationwide average, and depending on your location that average might vary, but it helps to at least have a ballpark range, right? Those of you who have wedding planners- what was the deciding factor that helped you choose your planner? Good advice – personality is a BIG one I’d say! I couldn’t agree more! I absolutely *adore* our planner, and that is so important. We knew the first time we met that we’d not only found the perfect planner but also found someone we’re ecstatic to have in our lives (even after the wedding!). As a planner myself I have to admit that the connection between planner and bride/couple is essential. I am still in contact with so many of my brides fo the past and they are having children now, so since I’m a grandma myself, I am soooo excited for them! !